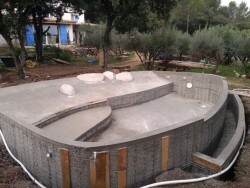 The advantage of concrete for the construction of your swimming pool is that you can imagine and build all pool shapes. 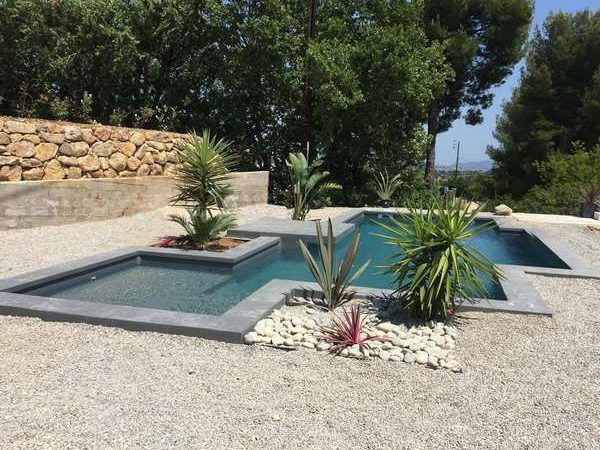 Create the contemporary swimming pool you are dreaming of! 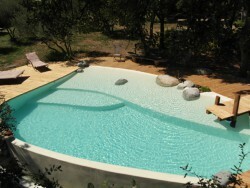 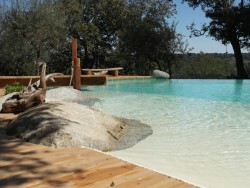 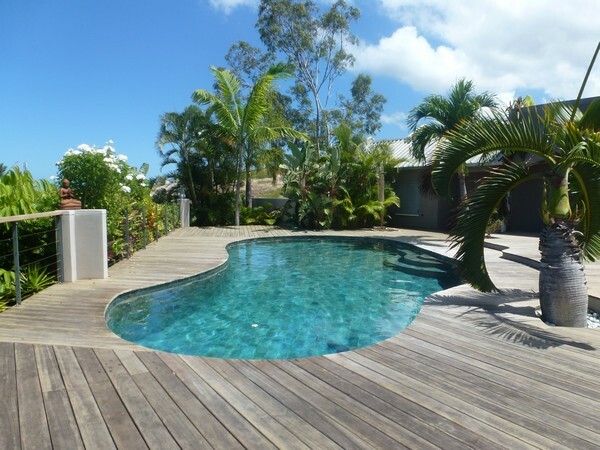 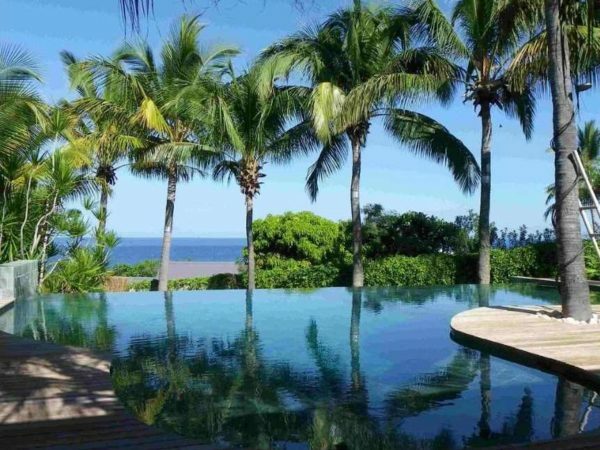 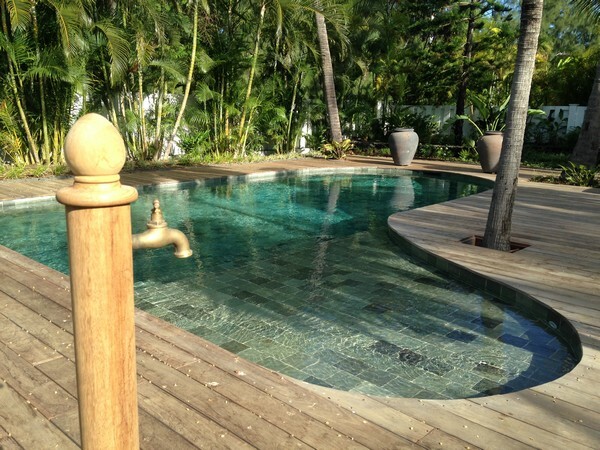 You can indulge by choosing a very special and customised swimming pool shape, in all confidence. 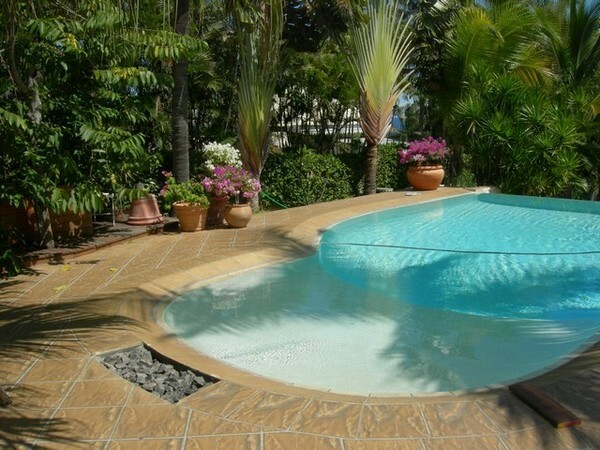 The free shape swimming pool is the response to your search for an absolutely unique, made to measure and uncommon design, which will respect your requirements. 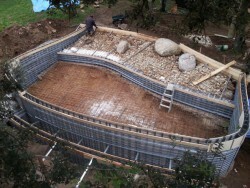 Perhaps your garden has configuration constraints such as constructions, rocks or wooded areas you wish to preserve? 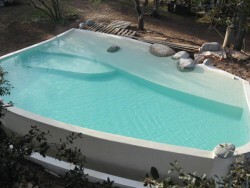 Then choose a free shape swimming pool. 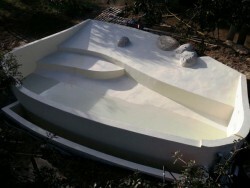 It will be compatible with your decor in the most harmonious way and will optimize your bathing area. 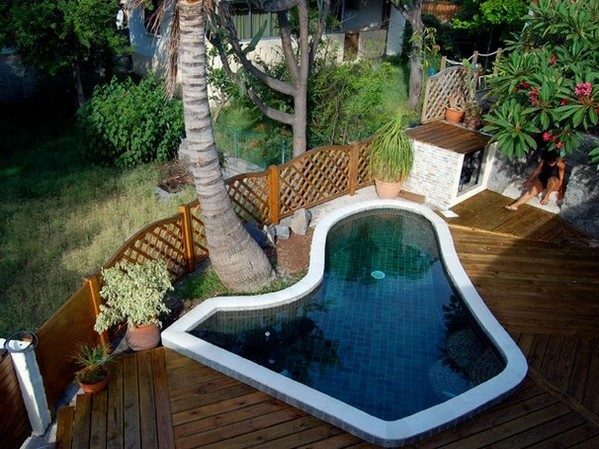 Contact your MARINAL adviser. 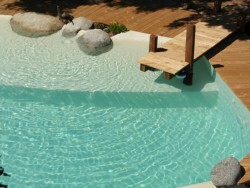 He will propose you free shape pools solutions, for a perfect integration in your garden. 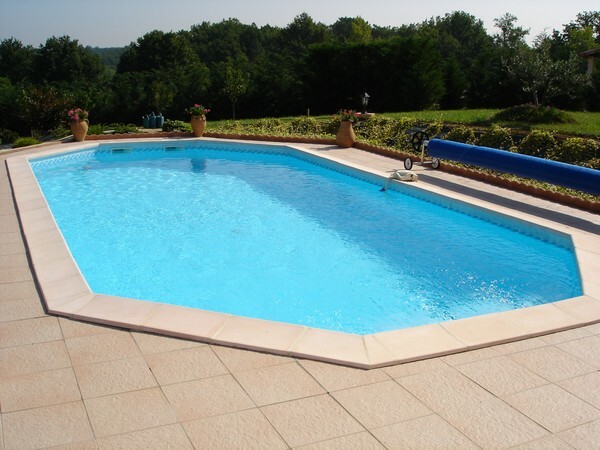 Free shape concrete swimming pools are often a little more expensive than the traditional classic shapes swimming pools because they need a made-to-measure structure. The price will thus depend on the complexity of the pool shape, its curves and the specific angles. 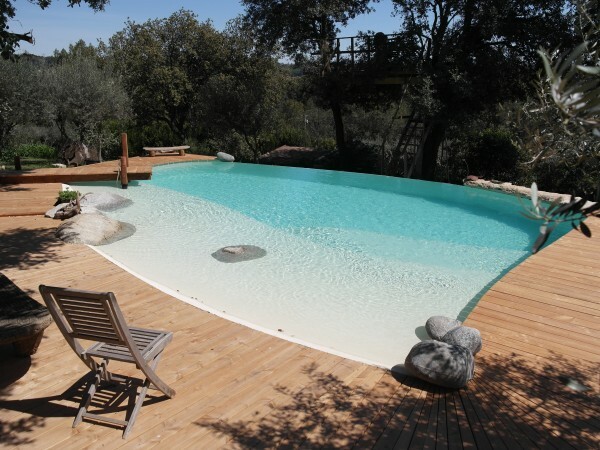 Then, it should be considered with regard to the dimensions of the pool and the earth-moving constraints. 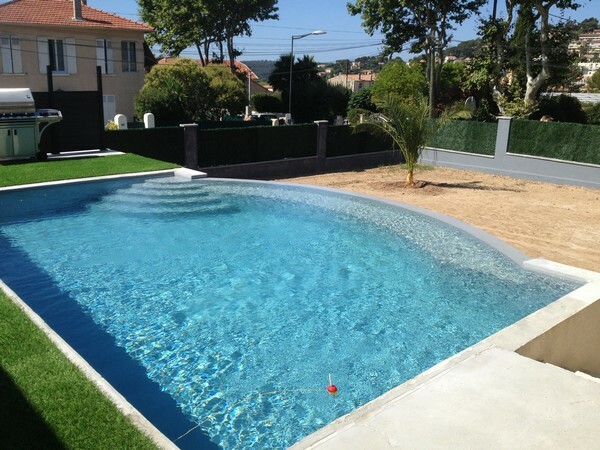 For a detailed – and without obligation – study of your project of a free shape swimming pool, contact a MARINAL adviser.